Happy Hump Day! I absolutely love this white top from A Pea in the Pod maternity store! My mom found it for me on clearance while she was out shopping, and I'm so glad she did because it goes with everything! It's definitely a staple in my maternity wardrobe. 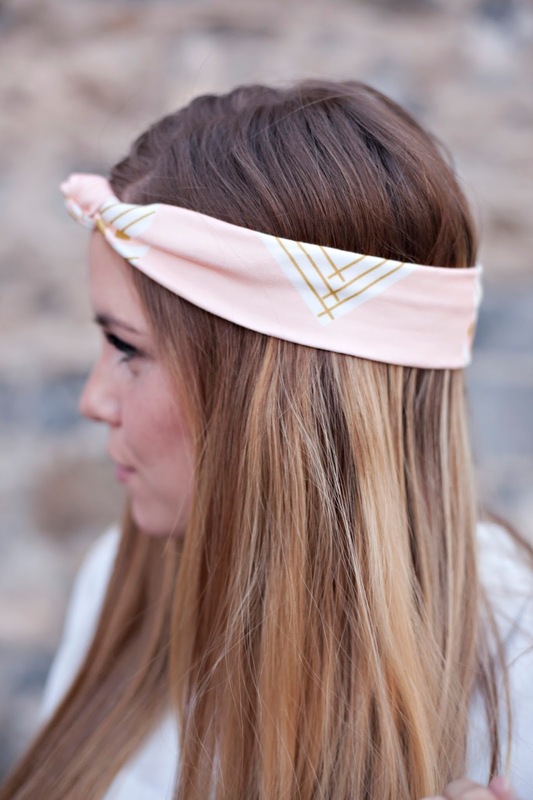 I thought the Notes and Knots headband gave the extra subtle pop to the wardrobe with the peachy pink and gold. I love how soft their headbands are-I NEVER get a headache from wearing them. Hands down the best headbands I've ever owned. 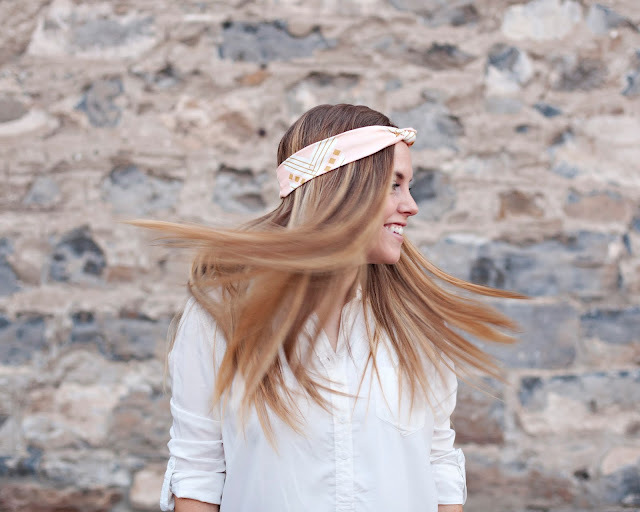 Great look and I just love the headband! !